A coho salmon returns to the Suquamish Tribe’s Govers Creek Hatchery. To map and better understand fish mortality from toxic stormwater, scientists are launching an interactive tool designed for citizen volunteers (K. King-USFWS Photo). LACEY, Wash. – Salmon exposed to toxic stormwater runoff can die in a matter of hours, and scientists are asking for Puget Sound area residents’ help in identifying affected streams to study the phenomenon. The Puget Sound Stormwater Science Team (PSSST) has been studying the effects of stormwater runoff on Pacific salmon species for almost two decades. That team is comprised of scientists from the National Oceanic and Atmospheric Administration (NOAA), U.S. Fish and Wildlife (USFWS) and Washington State University. Working to narrow down the toxic chemicals that are likely responsible, the team is unveiling a new interactive website that lets citizen volunteers help map salmon deaths. As urban growth and development continues in the Puget Sound region, scientists anticipate that the coho mortality syndrome will expand and will have significant impacts on wild coho populations. Scientists are asking area residents to help them identify the extent of the phenomenon, and continue to refine scientists’ understanding at the toxic chemicals at play in affected areas. The PSSST‑developed website includes interactive tools that allow users to view the Puget Sound basin and affected watersheds, and train them to identify coho salmon and report suspected coho mortality as citizen scientists. Although studies with other species are ongoing, initial evidence suggests that coho are particularly vulnerable to the syndrome. While the new story map is aimed at coho, efforts to reduce toxic runoff to Puget Sound lakes, rivers and marine waters will benefit other species as well. Coho salmon are an important part of the culture, history and economy of the Pacific Northwest. This iconic species is widely distributed in lowland watersheds that are vulnerable to ongoing and future development. The role of water pollution in the continued decline of coho populations remains poorly understood. 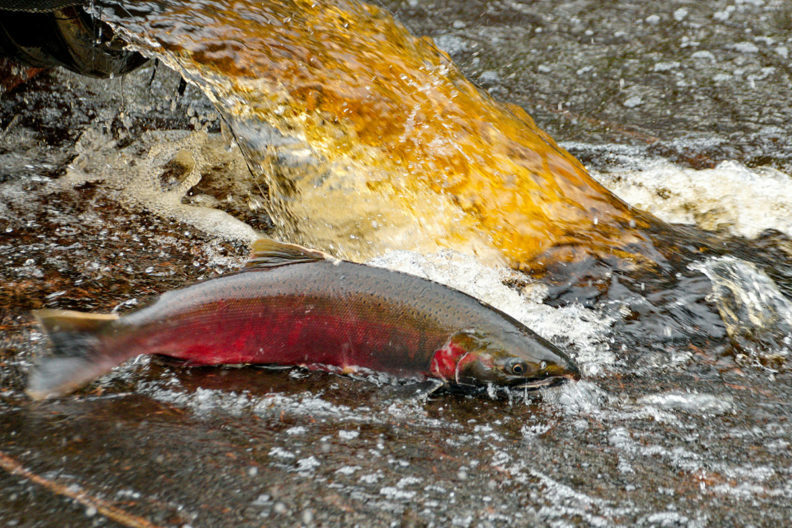 Learn more about how you can help, including identifying and reporting coho mortality.